My last brisket. Coffee-rubbed, hickory-smoked. Sauce with drippings and smoked onions. I just finished reading Franklin Barbecue: A Meat-Smoking Manifesto, and I’m pretty excited to put some new information to work at home (well, old information/technique, but some ideas that are new to me). I’ve really only made a handful of briskets ever. Some of have been better than others, sure, but each has been good enough to justify making another one. I’ve largely done a few hours of indirect hickory smoke on an old Weber kettle grill, then used the “Texas crutch” of foil to wrap and finish in the oven. I’ve got no qualms about that, but I do have some modifications planned for my technique on the next one, going back to basics to make a better brisket. I’m not the first to rave about Franklin’s book (or his barbecue joint in Austin), but I’ve been soaking it up recently. His PBS series BBQ with Franklin (and the YouTube series before that) are terrific, hugely informative on all topics related to cooking meat with fire and smoke. So I’ve done a bit of binge watching. 1) Rub. I’ll probably simplify my rub for longer cooks, consider eliminating or reducing the sugar. I do like the coffee rub, so I’ll keep that on hand. (That idea came from a Josh Ozersky column in the Wall Street Journal in May 2013 called “The New Barbecue” about several non-traditionalists making excellent barbecue in Texas). But I may also try the purist Central Texas rub of salt and pepper that Franklin uses as well. 3) Smoke. Franklin talks quite a bit about good clean smoke and bad smoke. Much of that is related to the completeness of combustion and availability of oxygen for the fire. The stuff you really want is clean smoke. I’ve got some reengineering to do with my setup, since a really hot fire will produce the smoke I want, but at temperatures that are too high for me to use in a simple Weber kettle. Until I get/modify/make a larger smoker, I may have to deal with smoldering with chips. More thinking to do on this. 4) Metal shop work. I don’t have any of this experience, and I wish I did. Low tech firebox connected to a cook chamber large enough for a brisket and a few racks of ribs, chimney. I think I could do this, but will need to talk to a few friends for help. This book is really a deep dive into the fundamentals of wood and fire, components of fuel, smoke, and the chemistry of combustion, combined with the anatomy of muscle structure (the muscle fibers and connective tissue that make up something like a brisket), which all adds up to how to cook better barbecue. I love this kind of book. It’s smart, clear, and informative. If you haven’t dropped any Father’s Day hints yet, get this one onto your short list, or pick it up for yourself because it’s summer, and there’s a lot of cooking to do. Franklin Barbecue: A Meat-Smoking Manifesto from Penguin Random House / Ten- Speed Press. Available wherever you buy books. 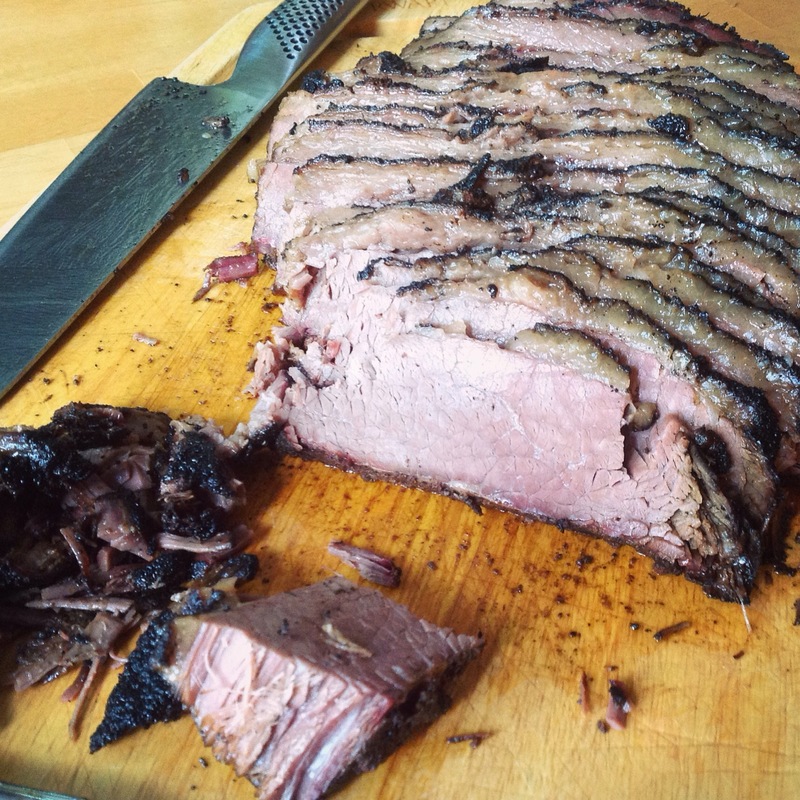 This entry was posted in barbecue, beef, cookbooks, smoke and tagged Aaron Franklin, barbecue, books, brisket, Franklin Barbecue, smoke. Bookmark the permalink.